The creek tumbles past the east window of this upstairs bedroom. 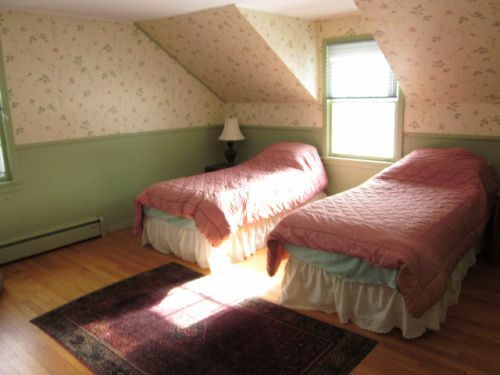 Sunny and spacious, there is a king conversion kit in the closet to make the two twin beds into one large bed. Other window faces south and looks down the driveway towards the farmyard. Shares upstairs bathroom.